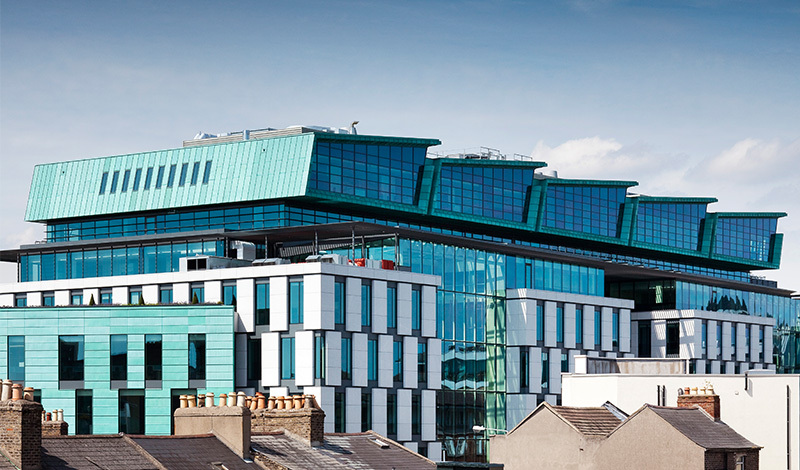 In November 2016, the first ever UX Ireland will take place at the Trinity Biomedical Sciences Institute in Dublin's city centre. The Trinity Biomedical Sciences Institute (TBSI) is a new state of-the-art research facility at Trinity College Dublin (TCD). As a conference venue, TBSI is equipped with advanced AV systems and is conveniently located next to Pearse train station. It sits in the heart of Dublin city, right beside the historic TCD campus and the famed River Liffey. 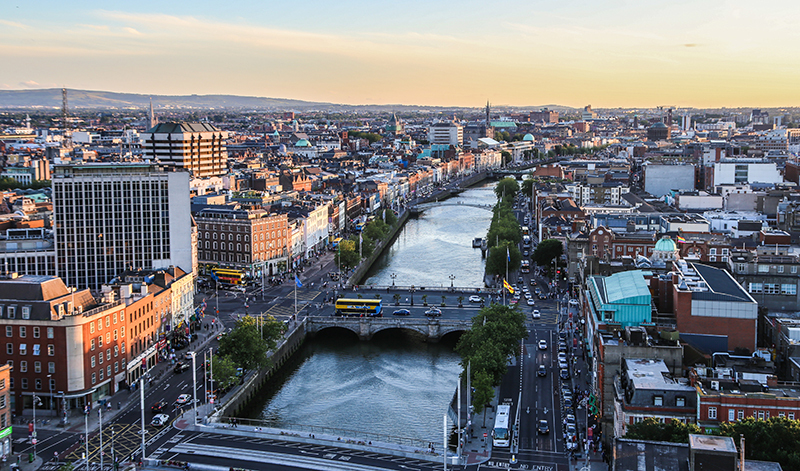 Dublin, Ireland’s capital, is steeped in history. Our beautiful city, founded on a viking settlement over a thousand years ago, is an amalgamation of cultures from throughout the ages. Home to some of the world's greatest literary figures and beautiful scenery, Ireland has become a place for arts and culture to thrive. Our winding cobbled streets, easy going nature, and globally famous spirit create an environment of joy for visitors from all over the world. People from most countries will be able to enter Ireland without a Visa, but we recommend that you check dfa.ie before your trip. We recommend the Airlink (single €6/return €10) or the Aircoach (€7 single/€12 return approx. depending on stop location). You can buy tickets for both buses at the airport and they both leave every 10-20 minutes. All car rental companies can be found in both the Terminal 1 Arrivals Hall and Terminal 2 Multi-storey Car Park. A taxi from Dublin Airport to Dublin city centre will cost approximately €27. We're pleased to offer discounted room rates at two excellent Dublin hotels to UX Ireland participants. Please note these rates apply for the 9-13 November 2016 only. Participants must book by Monday 17 October 2016. Parking: There are a limited number of spaces available and they offer valet parking only, at €20 per night. Parking: Is in the multi storey car park behind the hotel, discounted to €18 per 24 hours for residents. To book, you must book directly with the hotel via this link. If you want to use Coca-Cola Zero dublinbikes, you will have to sign up to their service. Since you are a visitor to Dublin we recommend the 3-Day Ticket. These tickets are convenient, great value for money and can be purchased from any of the 33 credit card terminals for just €5 (see Station List or download the Station Map 2.6MB PDF). The first half-hour of use is free; after that a service charge applies. Please note that Laser Maestro, VISA Electron debit card and cash are not accepted. Consult the terminal menu to obtain a short-term ticket that you will need to keep throughout the period covered by your subscription. This card contains an ID which you will need to enter each time you hire a bike, in addition to a PIN selected by you. It is important that you keep your ticket in the event that any issue may arise. Dublin Bus currently operates almost all commercial routes in the Greater Dublin Area (GDA). It is the main public transport provider for the GDA (extending as far as Newcastle in County Wicklow, Balbriggan in north County Dublin, Dunboyne in County Meath and Maynooth in County Kildare). Dublin Bus also provides many different services for tourists such as sightseeing tours and themed routes, for example the Dublin Ghost bus! The DART (Dublin Area Rapid Transit) is the rail line running along the coast of Dublin, from Malahide and Howth southwards as far as Greystones, Co Wicklow. The DART system is administered by the national rail operator, Iarnród Éireann (Irish Rail). You can connect to the regular train service for communities north of Dublin, right up to Belfast. The DART is most convenient if you are moving in or around the coastal areas. The Trinity Biomedical Sciences Institute is right next to Pearse Station. The Luas is a Light Rail Transit System in Dublin operated by Transdev. The Red and Green Lines runs across the county, conveniently linking to downtown. The Trinity Biomedical Sciences Institute is located 12 minutes away from Busáras on the Red Line and 15 minutes away from St. Stephen’s Green on the Green Line. The Leap Visitor Card is a convenient public transport ticket for tourists and visitors to Dublin. It allows you unlimited travel by Airlink 747 and 757 airport bus services, Dublin Bus (not valid on tours), Luas, DART and Commuter Rail in the Short Hop Zone (all of Dublin city and county). You can top-up with additional time periods (1, 3 or 7 days) for the prices shown above at any Leap Card payzone outlet in Dublin (up to a maximum of 5 times). You can buy the Leap Visitor Card from Dublin Airport and from several shops across the city.